Fairfield, CT - Recognition by a nationally known evaluator highlights the differentiators that ComForCare brings to its clients. There are many choices among in-home senior care providers, and families often become overwhelmed. That’s why many turn to the Home Care Standards Bureau, or HCSB, to help them evaluate their options. 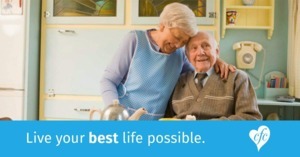 When they do, they often connect with a ComForCare in-home care location such as ComForCare Home Care in Fairfield, Connecticut, which serves Fairfield and New Haven counties and recently received an A+ certification from HCSB. This honor is not easy to come by. HCSB has a long list that it uses to certify non-medical home care agencies and ensure that they come up to its high standards. The A+ certification is granted only to in-home care providers that meet and adhere to a stringent code of standards and ethics, including extensive background checks and annual training for all caregivers. And once the honor is achieved, it must be kept up. Recipients must submit regular disclosure statements to ensure that all standards, such as insurance and licensing, are being maintained. HCSB also performs planned and surprise audits. As an HCSB A+ certified agency, ComForCare Home Care of Fairfield has been found to provide the highest standard of senior care, personal care and respite care with a high level of professionalism and compassion. In a crowded industry, its differentiators truly stand out. ComForCare is a successful, multifaceted business that offers peace of mind and improved quality of life for senior citizens and their families through support around life’s everyday tasks, and also through exciting and innovative programs such as DementiaWise® a comprehensive care approach for people with Alzheimer’s disease or other forms of dementia that focuses on accentuating the positive by supporting and encouraging remaining skills and abilities; and Joyful Memories, an interactive, singalong program that uses the power of music to create connections and positive outlets for emotional expression. ComForCare’s other differentiators include in-home nurse assessments, customized care plan development and ongoing evaluation to anticipate and plan for changes, all based on the client’s interests, hobbies, skills and abilities that provide joy and purpose in their life.